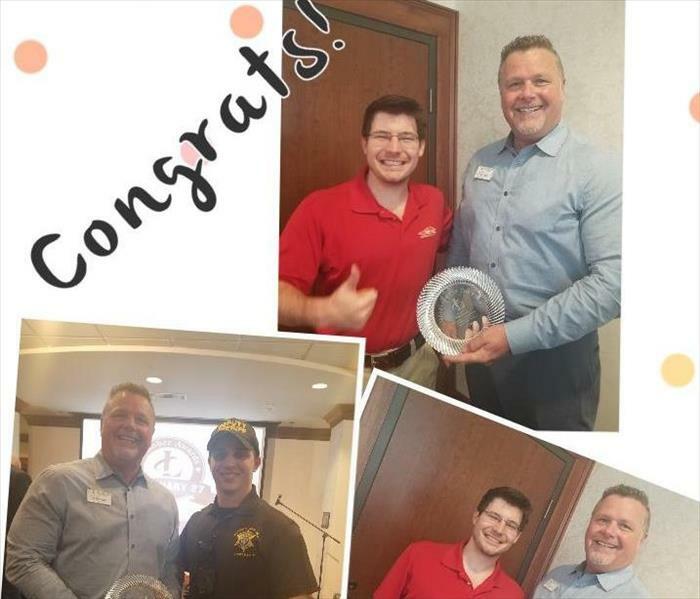 We were happy to celebrate with our Marketing Rep, Phil Demery, for winning Ambassador of the Year today at the Lexington Chamber Awards. This was the aftermath of a roof leak in a Lexington home. There was significant water damage. The owner couldn't believe how quickly and completely we were able to restore their ceilings and home. We make water damages "Like it never even happened." This was the aftermath of an upstairs bathroom pipe leak when we arrived on scene. There was a significant amount of water damage. The owner couldn't believe that we were able to completely clean up and repair their home like new again. Storm Damage in Lexington, Sc. This damage was due hurricane damage in Lexington. There was a great deal of water, which caused a water damage. The owner was very satisfied that we were able to dry and repair their business. We make storm damage "Like it never even happened." This was the aftermath of a severe thunderstorm in Lexington when we arrived on the scene. There was a great deal of water damage all throughout the facility. The owner was pleased that we were able to dry their property and they could resume their normal lives. This was the aftermath of a pipe leaking and causing moisture to build up in a Lexington home. There was a significant amount of mold present. The owner couldn't believe how quickly and completely we were able to clean and restore their home. We make disaster "Like it never even happened." Mold Infestation in Lexington, Sc. This was the aftermath of moisture being undetected in a Lexington home. There was a great deal of mold present. The owner was very satisfied that we were able to get their home like new again. This was the result of a grease fire in the kitchen in Lexington, when we arrived on the scene. 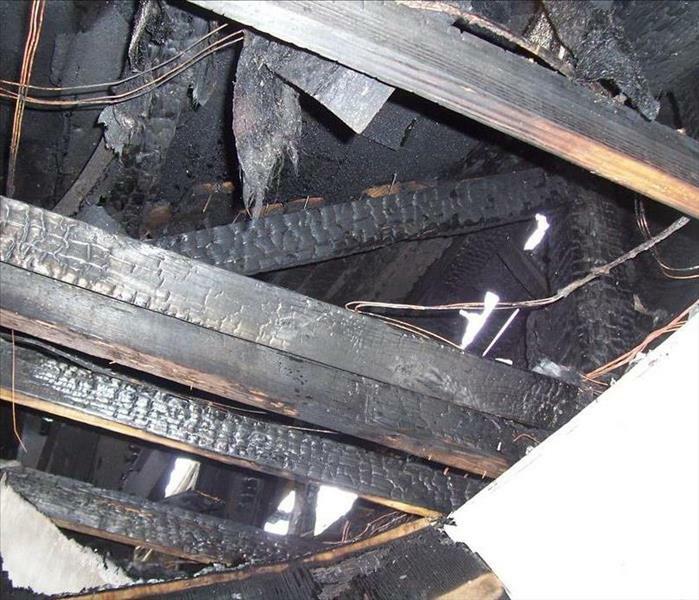 There was a great deal of smoke and soot damage. The owner was very happy that we were able to completely restore their home. Residential Fire Damage in Lexington, Sc. This was the aftermath of an electrical fire in Lexington when we arrived on the scene. There was significant smoke and soot damage. The owner couldn't believe how quickly and completely we were able to clean the soot from the walls and ceilings. We make damages "Like it never even happened." Commercial Water Loss in Lexington, Sc. This was the aftermath of a roof leak in Lexington when we arrived. There was a significant amount of water damage to the ceiling, walls, and flooring. The owner was very pleased with how quickly and completely we were able to repair their business. We make water damages "Like it never even happened." This was the aftermath of a pipe leak in a Lexington commercial building when we arrived on the scene. There was a significant amount of water. The owner couldn't believe how quickly and completely we were able to dry their flooring. We make disasters "Like it never even happened." This was the aftermath of a pipe leak in the bathroom in Lexington when we arrived on the scene. There was significant water damage. 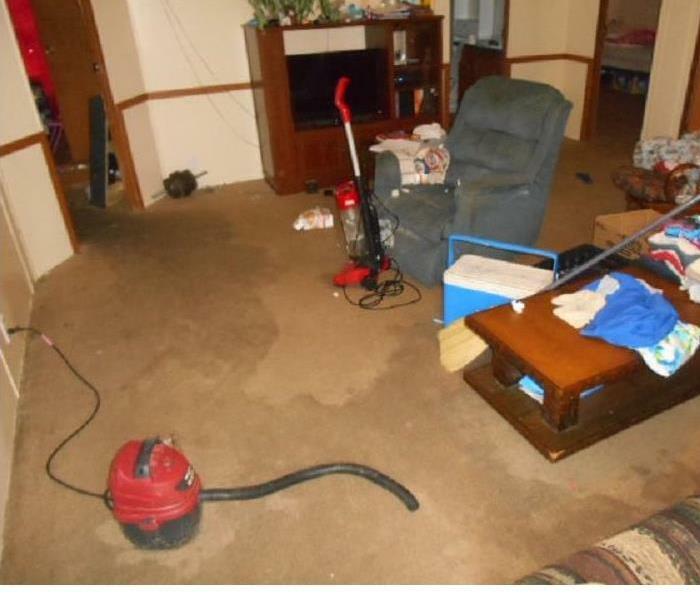 The owner couldn't believe how quickly and completely we were able to clean the water from the floors. We make water damages "Like it never even happened." 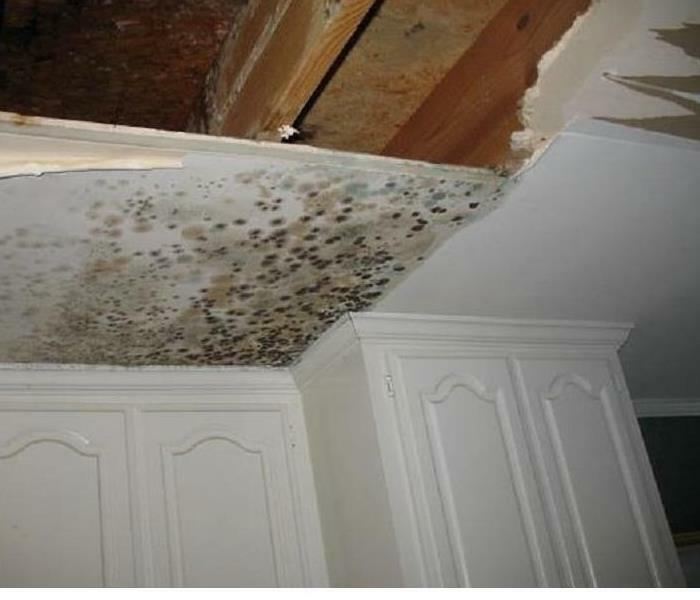 Water Damage in Lexington, SC. This Lexington, Sc. 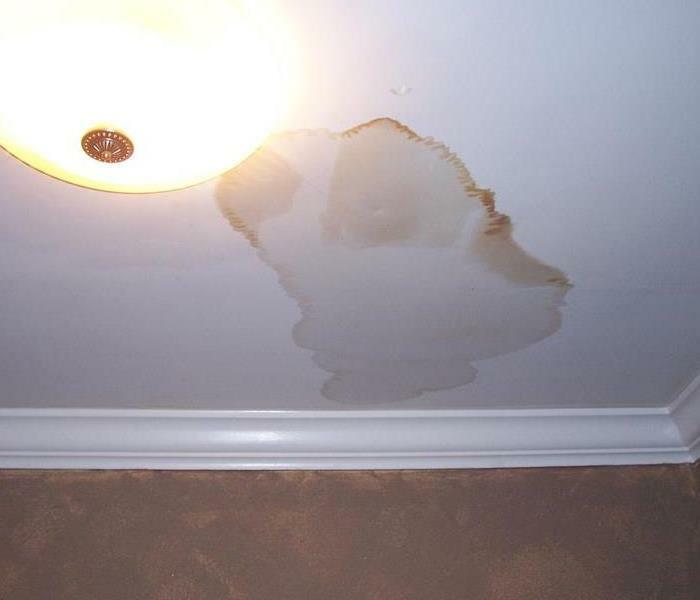 home suffered from a severe roof leak causing a water damage. SERVPRO of Lexington was able to go in and completely restore their home. The home owner was happy to have their home back like new again! This was the aftermath of a water Heater leak in a Lexington home when we arrived on the scene. There was a significant amount of water under the laminate. The owner of the home was very satisfied that we quickly and completely dried the water and were able to get their home back to normal. We make water damages "Like it never even happened." This damage in a Lexington, Sc. home was due to severe storm damage. There was a great deal of water and content damage. The home owner was happy that we were able to dry, repair, and put back their home "Like it never even happened." This was the aftermath of Hurricane damage in a Lexington home when we arrived on the scene. There was a great deal of water damage. The owner couldn't believe how quickly and completely we were able to clean up their home and dry the water. We make storm damages "Like it never even happened." This damage was due to a severe storm in Lexington, Sc. There was a significant amount of storm and water damage. The home owner was very satisfied with how quickly and completely we were able to restore their home back to normal. This was the aftermath of a Hurricane in Lexington, Sc. There was a significant amount of water damage. The owner couldn't believe how quickly and completely we were able to clean, dry, and restore their home. We make disasters "Like it never even happened." This was the aftermath of moisture in a Lexington vehicle. There was a significant amount of mold and mildew damage. The owner was very satisfied that we were able to completely rid the vehicle of mold. 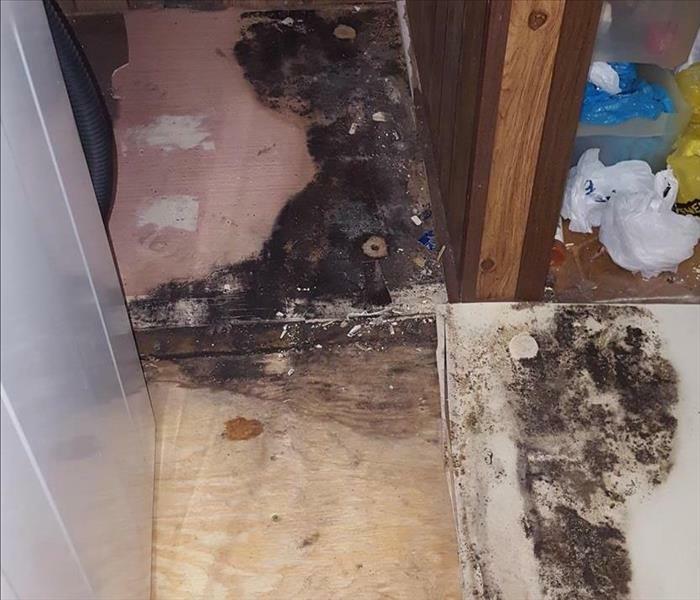 Mold Loss in Lexington, Sc. This mold infestation in due to a roof leak in Lexington. There was a significant amount of mold and mildew damage. The owner was happy that we were able to quickly and completely clean up the mold infestation. 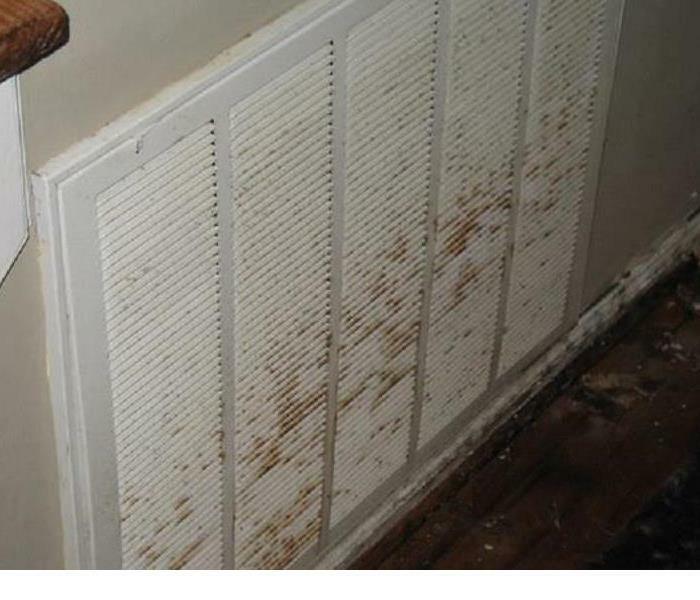 This was due to moisture being undetected for months in a Lexington home. There was a significant amount of mold and moisture present. The owner couldn't believe how quickly and completely we were able to dry, repair, and clean up their mold issue. This was the aftermath of moisture undetected in a Lexington home. There was a significant amount of mold present. The owner was pleased that we were able to re-mediate the situation quickly and completely. We make disasters "Like it never even happened." Kitchen Fire in Lexington, Sc. 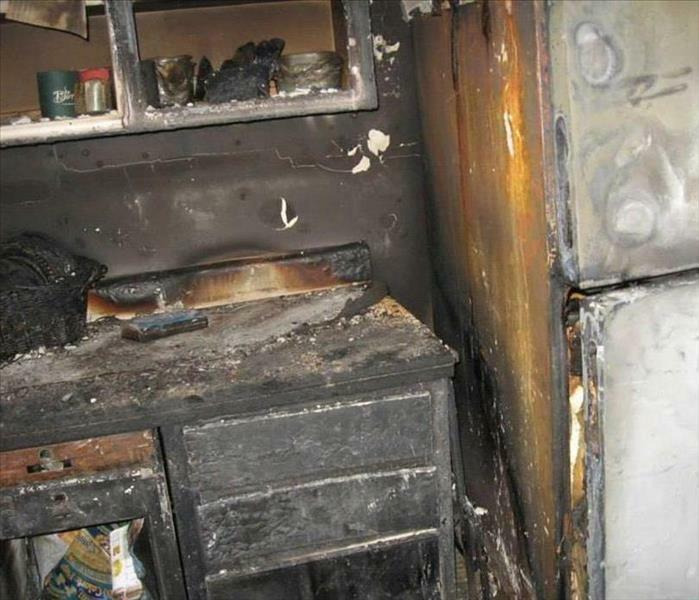 This was the aftermath of a kitchen fire in Lexington when we arrived on the scene. There was significant smoke and soot damage. The owner was very satisfied and couldn't believe how quickly we were able to clean the soot from the walls and ceiling. We make disasters "Like it never even happened." House Fire in Lexington, Sc. This was the aftermath of an electrical fire in Lexington. There was a great amount of smoke and soot damage. 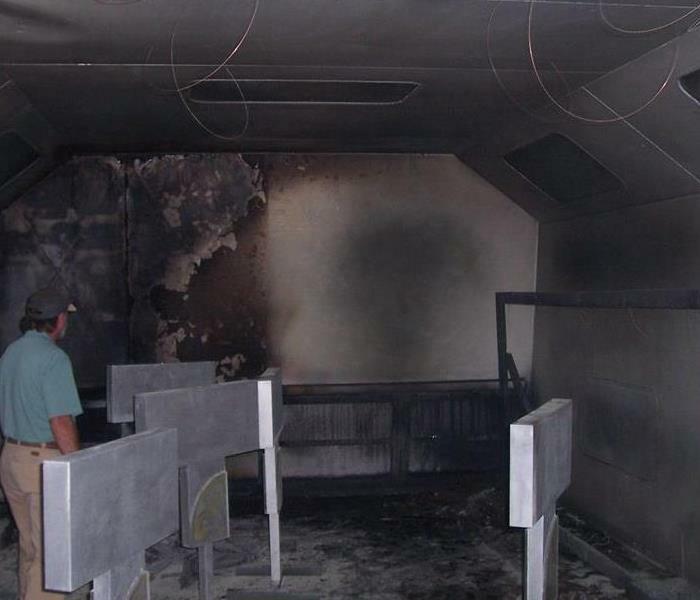 We were able to completely clean the soot from the walls, floors, and ceiling. The customer was very pleased that we were able to make their home like home again. This was the aftermath of a kitchen grease fire in Lexington when we arrived on the scene. There was a great deal of smoke and soot damage. The owner couldn't believe how quickly and completely we were able to clean the soot from the walls and ceiling. 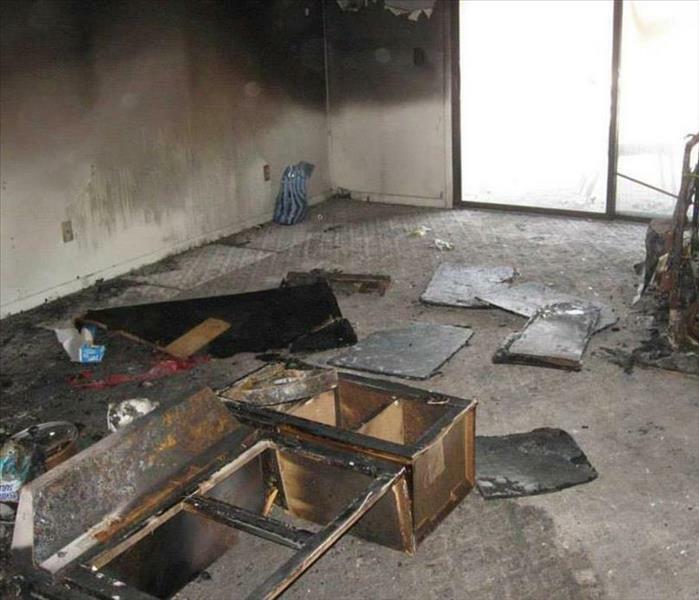 We make fire damages "Like it never even happened." Fire Damage in Lexington, Sc. This was the aftermath of an electrical fire in Lexington when we arrived on the scene. There was significant smoke and soot damage. The owner was very pleased that we were able to clean the soot completely and get it back to normal again. This was the aftermath of a water leak in the ceiling in Lexington. There was a significant amount of water damage. 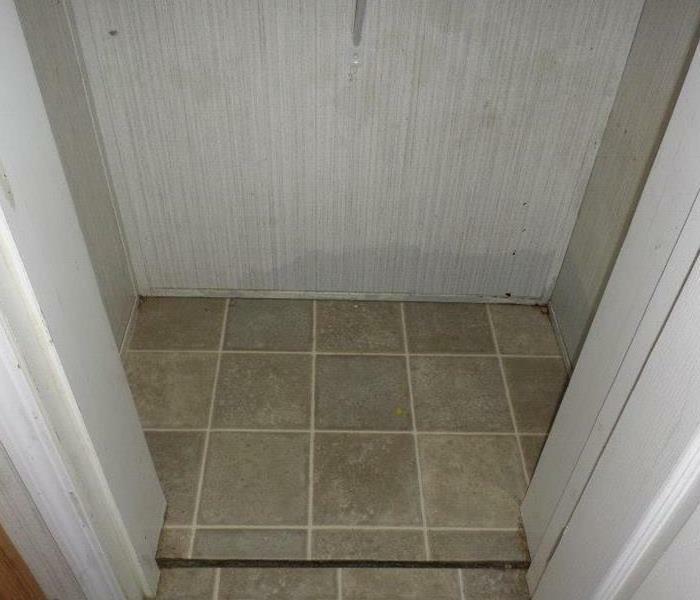 The owner couldn't believe how quickly and completely we were able to clean and dry the water from the floor. We make disasters "Like it never even happened." This was the aftermath of a pipe burst in Lexington. There was significant water damage. The owner was pleased that we were able to dry up the water and clean their store. We make damages "Like it never even happened." This was the aftermath of rain water flooding this warehouse in Lexington when we arrived on the scene. There was a significant amount of water damage. The owner couldn't believe how quickly and completely we were able to dry up the water. We make disasters "Like it never even happened." Darrell is our Production Manager. 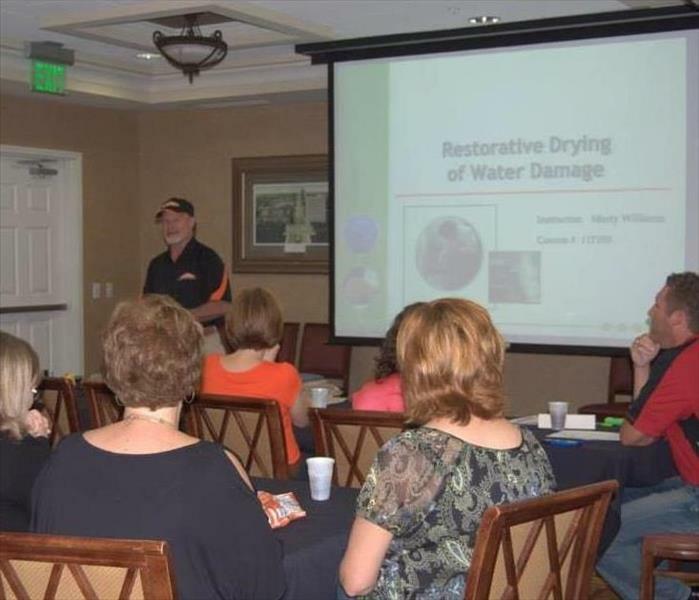 He's been with us since 2004 and has IICRC and IOT certifications in Mold Remediation, Carpet & Upholstery cleaning, Health & Safety, Odor Control, and Fire & Smoke cleanup and restoration. This was the cause of a pipe busting, causing a significant water damage. The owner was pleased with how quickly and completely we were able to dry and repair their property. We make water damages "Like it never even happened." 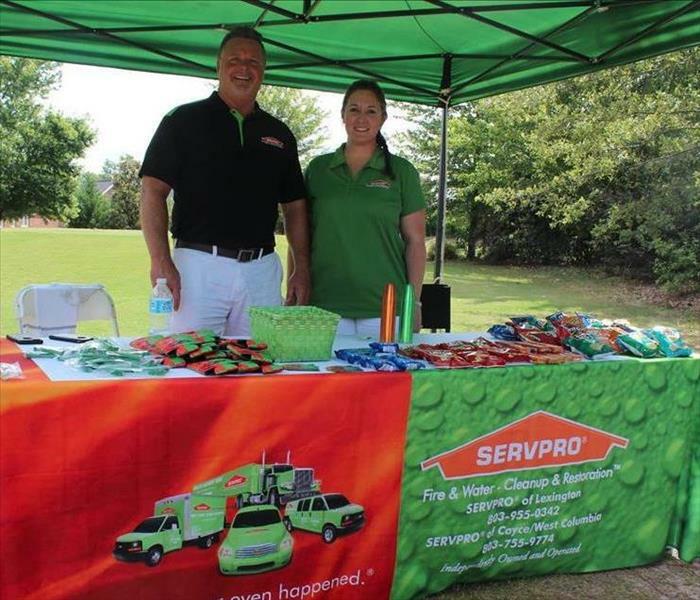 SERVPRO of Lexington was honored to serve at the Lexington Chamber Golf Tournament. 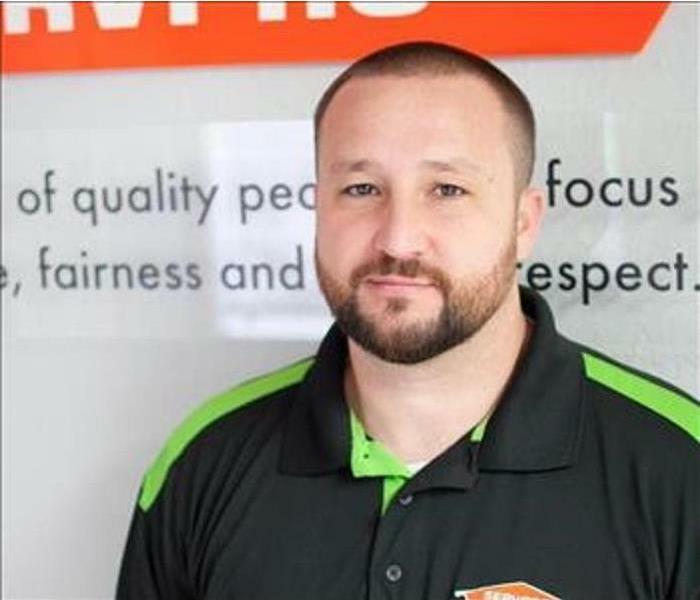 Pictured to the left is Phil, who is SERVPRO of Lexington's sales/Marketing Representative and to the right is Christina who is SERVPRO of Lexington's Administrative Assistant. No job is too big for SERVPRO of Lexington. 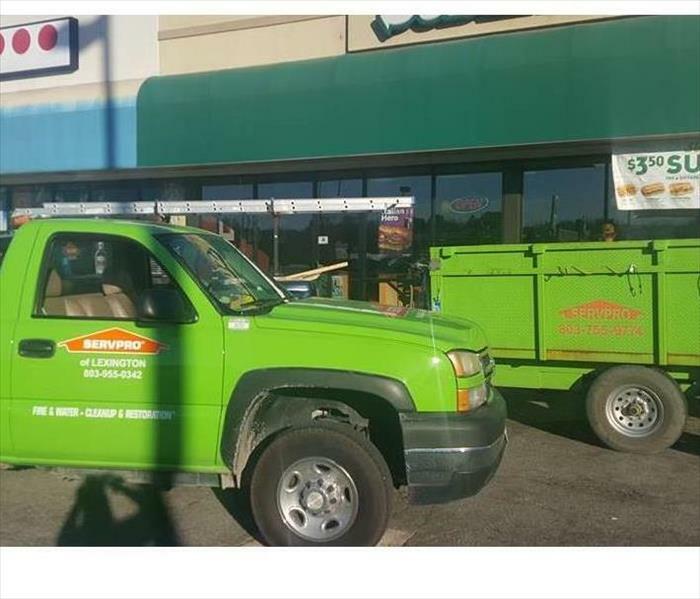 Our local Subway needed help with boarding up their facility and the customer was definitely relieved to have us there to help!